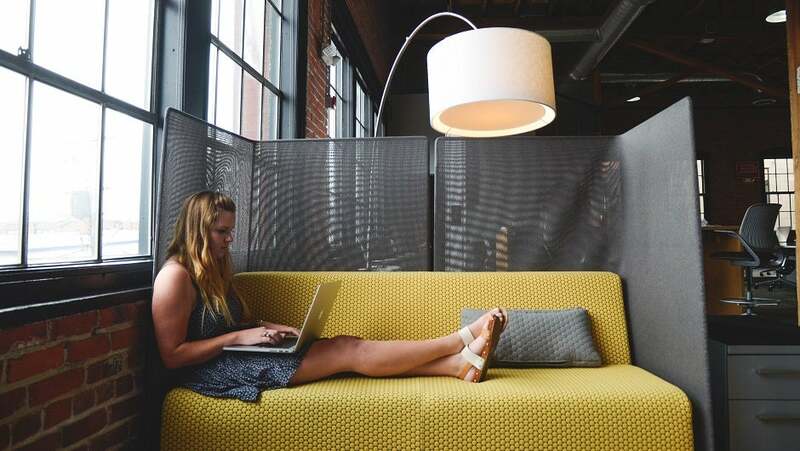 Why Startups Are Choosing Serviced Offices Over Conventional Workplaces ? The words ‘virtual,’ ‘remote,’ and ‘mobile’ are becoming increasingly common within the business world. They are part of a fast-moving transition, an evolution of what we consider to be the modern office. Entrepreneurs, start-ups, and small companies are eschewing long term leases and fixed premises, in favour of flexible workspaces. There are many different reasons for this. For one thing, it isn’t necessary to have a huge team anymore. Sophisticated software solutions have made it possible for compact workforces to take on the kind of tasks which used to require an entire department. There is also a much better understanding of the value of agility. These days, businesses don’t want to be tied down. Here’s why early-stage startups are choosing serviced offices versus conventional. One of the biggest expenses associated with running a business is rent. Yet, many companies still fall into the trap of long-term leasing, even when they can’t be sure they can fulfill a contract. Serviced offices are a great solution because they provide everything that a traditional workspace does, but without that long-term commitment. Most offer minimum terms as low as three months, with an open end date. Not only are the leases flexible, the terms of the deal are fully negotiable too. It makes serviced offices a great way to control overheads, no matter whether you are launching in a domestic or foreign city. The idea is that you pay at the end of each month for the resources that you have used. For example, if you have no need for meeting spaces, you don’t have to pay for them. If you don’t want to use a corporate mailbox, there’s no obligation to and no charge. When you expand into a new country, having the right support can mean the difference between success and failure. It is important to recognise the value of local support, because most companies tend to lose a little of their independence, at least to begin with. This is simply because it is tough to uproot a business and place it in an entirely unfamiliar environment. The secretaries, IT specialists, digital marketing experts, and web developers affiliated with serviced offices provide a much-needed link between you and your new home. They can help you streamline operations, adapt to regional routines, shrink your workload, and find world-class recruits. Plus, you are in control of how and when you access all of these resources. Serviced offices lend themselves very well to the split testing of markets. As the leases and terms are so flexible, it is easy to set up a temporary home in multiple cities or countries and wait to see which one is the most profitable. In the days before flexible office solutions, this would only be possible at great expense. While split testing isn’t always possible – there are plenty of reasons why small businesses decide to take a risk and relocate with it – it can give you some certainty in unpredictable conditions. Whether it be Hong Kong, San Francisco or New York to launch a company the only way to know if it works for your team is to experience it. You have to take your big ideas and give them to the market.